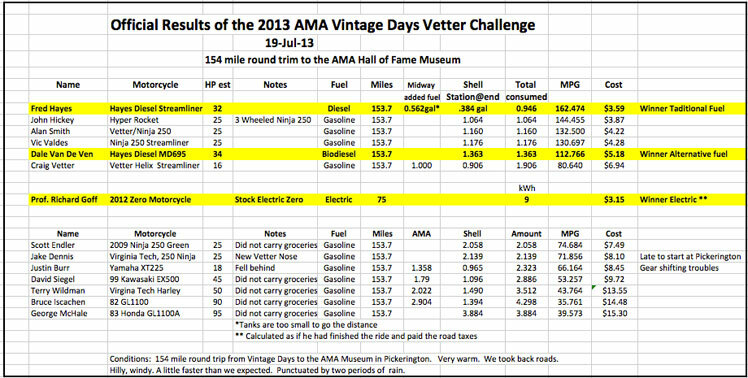 Diesel Fred Hayes has been unbeatable at the Vetter Fuel Challenges since 2011. 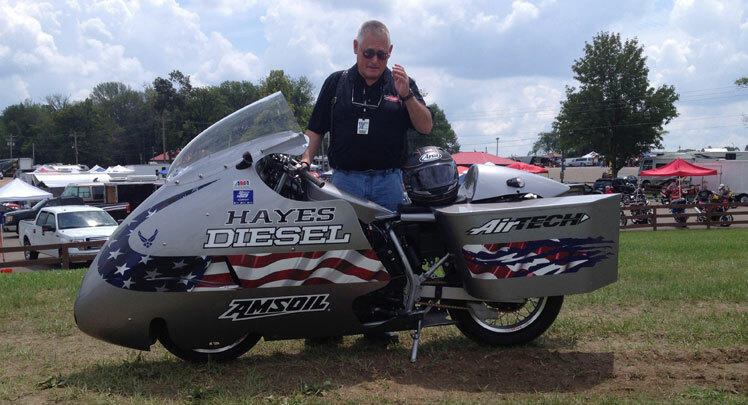 His bikes not only sip fuel... at Bonneville they set speed records. Diesel Fred builds his bikes. 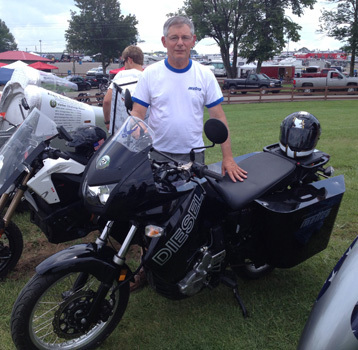 Alan rides his streamlined 250 Ninja from California to all the events. 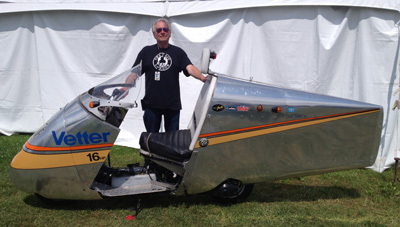 He and Electric Terry Hershner are the only Challengers to actually ride this year. The rest of us trailer our bikes. 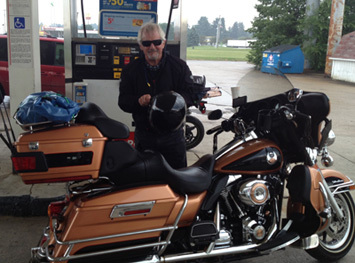 Vic usually rides from California too, but this year his job kept him from riding. Look at Vic's bike: It has the Vetter nose but the rest of it is recycled political signs. I guess the air can't tell the difference. There is a lot to be learned here. First it was great to see everyone again. I think everyone that competed are winners. We all had a fun ride that day. It was great to meet old friends and new people. 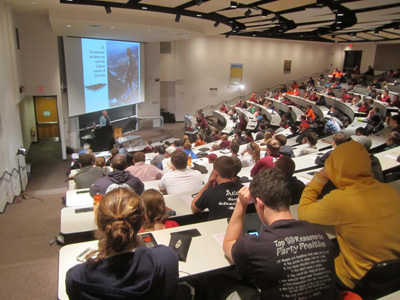 What the Virginia Tech students lacked in skill and knowledge make up with enthusiasm. Hopefully we will see them again next year. I usually combine the Ohio competition with a scenic ride across the country. This year was no different. I rode my 2005 streamlined Ninja 250 9500-miles in 5-weeks. Such a long trip on my streamliner would not be possible if it was not comfortable. I averaged over 100 Miles-Per-Gallon the whole trip. My touring motorcycle doubles as my competition motorcycle. The "Alternative Fuel Class" is for any energy source not sold at normal gas stations. (Not counting electricity.) This is another Diesel made by Fred Hayes. Diesels generally consume 3/8ths of a pound of Diesel fuel per horsepower per hour. Gas motors burn about 1/2 a pound of gas per hp per hour. This is why Diesels do so well. The lack of streamlining certainly makes a difference. Fred... could it be time to streamline this bike? Back in 2007 when I began building this machine, I thought the Honda represented the best platform. It certainly has a lot going for it. Low seat... easy to get on and off. The Ninjas have proven to be better. We are beginning to see just how good these Ninja 250s are. I think there is something special about the 125cc to 175cc cylinder size. I think it has something to do with how fast gas and air burns. I think it burns more completely in the small bores. The Kawasaki Ninja engines are made up of two 125cc cylinders. They put about 21 hp into the rear wheel. The Honda Helix engine of my Challenger has one big piston and puts about 16hp into the rear wheel. My Helix has never beat a Ninja in a fuel Challenge. The Ninjas go faster and burn less fuel. If I "push" my Helix, like showing off, driving at 80 mph, into powerful headwinds, it will do it for a while... but will blow its head gasket. The Ninja 250s seem to run forever. 16hp may not be enough. "Large cylinders are fundamentally more efficient than smaller cylinders due to surface to volume ratio & crevice volume. 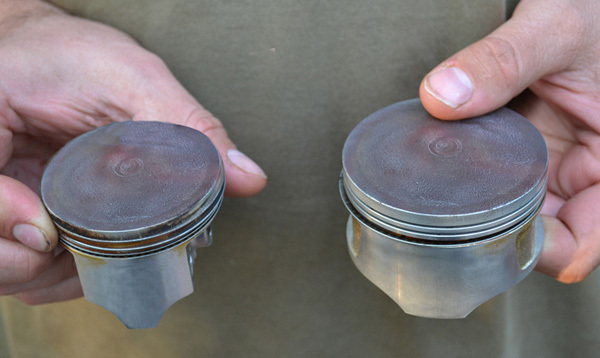 All else being equal, your single cylinder 250 should be more efficient than a 2 cylinder 250. The primary issue with the Helix is that it has a rubber belt CVT. Its just a cheap automatic. 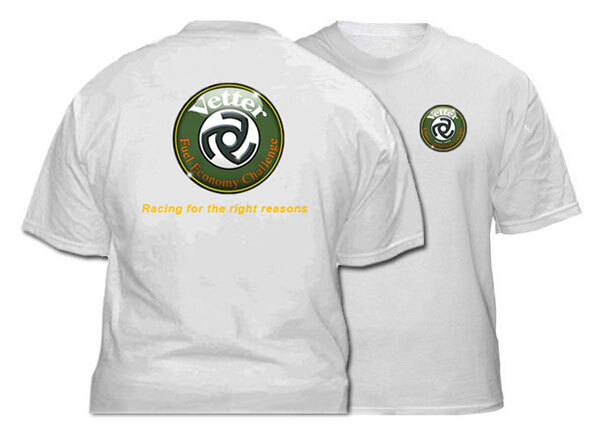 Belt CVT’s are far less mechanically efficient than a lay shaft transmission & chain drive. The CVT 70%ish efficiency is horrible. Good chains are 98%." "Low speed, pulse & glide is useless." "Extreme FE is not so valuable if it can't carry passengers/groceries comfortably on the Hwy & have fun doing it. That's what I like about your Challenge." Craig adds: Have you seen the proposed route for the upcoming Las Vegas Challenge? Winner of the Electric Class, Dr. Richard Goff: He went 75 miles in the middle of the pack, at our speeds, before running out of juice. Last year, the winning electric bikes went 40 miles. 75 miles is almost double! More significant, Dr. Goff did this on a stock Zero! 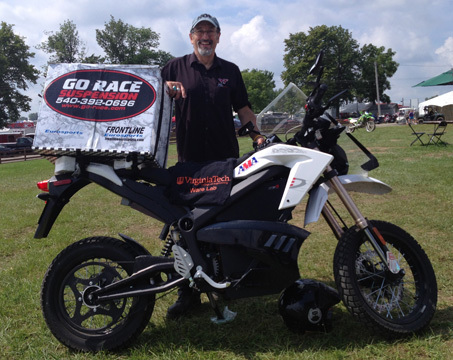 We should be impressed at the progress being made in electric motorcycles. 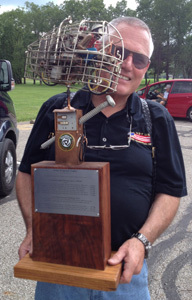 Speaking of electric power, Terry Hershner was on his way to the Ohio Vetter Challenge when his wheel bearing let go. This, no doubt was caused by Terry being way overloaded with batteries and chargers. Even so, those original bearings lasted over 30,000 miles. He made it to Parachute, Colorado the Wednesday before the Challenge when he realized that it would not be possible to be in Ohio Friday morning. We missed him. 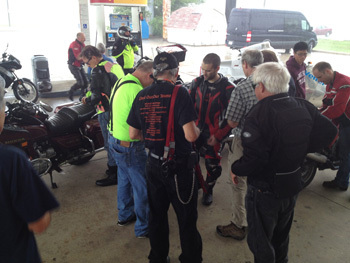 Jake Dennis, David Siegel, David Marshall, Prof. Richard Goff, Justin Burr, Sara Rowe, Lawrence Domingo and their Ninja 250. I am so pleased to see such interest from Virginia Tech. Well, Professor Goff is a motorcyclist. And he did purchase a Zero for himself... the very same Zero that took the electric trophy. He is the man behind the enthusiam. This has been a great experience for me. 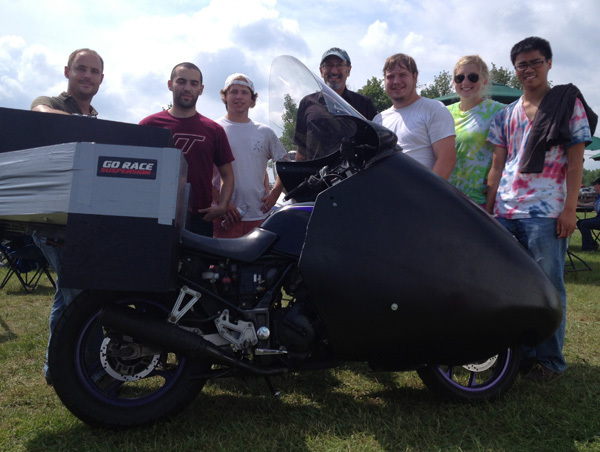 The VTech Team showed up at last year's Ohio Challenge to see how things were handled. I guess they liked what they saw because Professor Goff then invited me to address his students in May of this year. This is a great school! VTech engineering students actually know how to make things! They know how to weld. They know fiberglass. Virginia Tech has a building called the "Ware Lab". Inside students are designing and building marvelous vehicles - like human powered subs. Human powered speed racers. 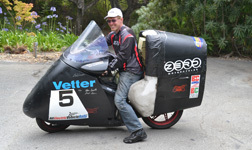 An electric road racing motorcycle. A Baja Buggy. And now students are designing and building motorcycles to challenge us to "Live Better on Less Energy." It was a beautiful day until the last 15 minutes, when the rains came. But that was just fine. 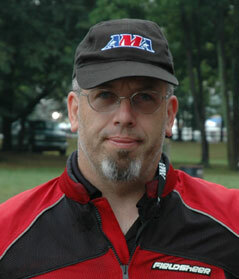 Thank you, Dave and thank you AMA for helping us put on this very important and new kind of competition. Saturday: "Stories of Motorcycle Design of the 60s and 70s"
Sunday: "Living Better on Less Energy"
Bringing you up to date on our progress in "going farther on less fuel"